Put a large specimen of one of my favorite animals in front of my favorite tree trunks in front of my favorite leaves and ... an image I like is shaping up nicely. The leaves are from Idaho maples in the peak of their fall color. The tree trunks are aspens and their white color makes most images look better. Of course, a large bull elk makes practically any photo look good. What is the easiest way to create panorama image? 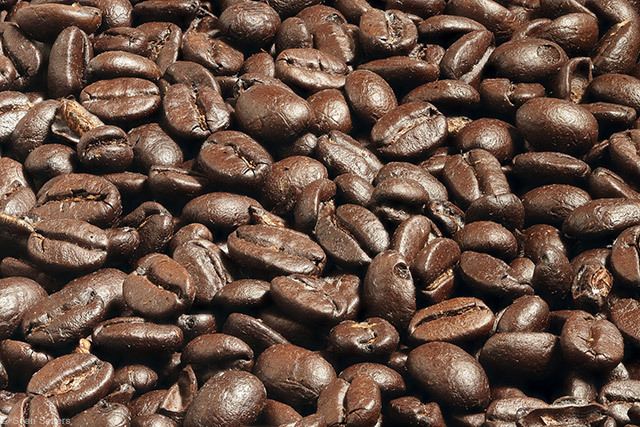 Crop a wide aspect ratio from a single image. While successfully capturing multiple images and seamlessly stitching them together can create a higher resolution image, it is easier just to use a wider angle lens and crop them to the desired aspect ratio. Using the cropping method also avoids issues with subjects in motion (waves, clouds, people, animals, etc.). Especially if a very resolution camera is used (one of the 5D Mark IV's upgrades was resolution), there can still be plenty of resolution for large output remaining after cropping. In the example shared here, the "wider angle lens" was due to a focal length limitation at the time of capture. I was stalking the elk, didn't have an extender with me and the bull was walking towards the woods (the moment was not going to last). The cropping technique is often useful in helping to mentally justify the result. 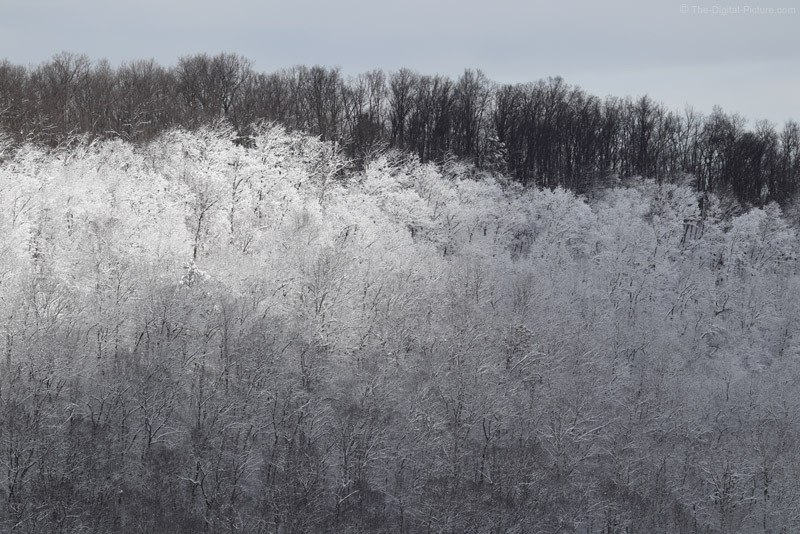 I'll save the argument as to whether or not the angle of view from a 600mm lens covers a wide enough view of an area to qualify for the definition of "panorama" for another day, but the wide aspect ratio is at least in the spirit of these images. A larger version of this image is available on BryanCarnathan.com, Flickr, Google+, Facebook and 500px. If reading from a news feed reader, click through to see the framed image. Fixed an issue that resulted in unreliable connections between the camera and the iOS 10.2 version of the SnapBridge app. Just posted: Canon EOS M5 Review. Easily the best "M" so far! 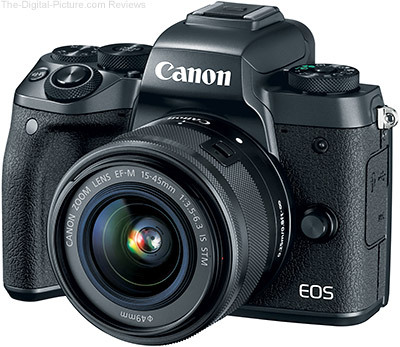 B&H has the Canon EOS M5 in stock. LensRentals recently disassembled a Sony FE 70-200mm f/2.8 GM OSS and found three aspheric elements (unusual for a telephoto zoom) and uniquely designed AF system. As part of that Holy Quest, we wanted to take a look inside the FE 70-200 f/2.8, because, well, that’s what we do. They’ve been in such short supply, though, we just haven’t been able to take one apart. But a customer was kind enough to drop one of ours, jamming the focusing system. We decided the opportunity to do a repair/teardown was too good to pass up. I’ll warn you now, I’m going to use words like different, odd, and weird when describing the inside of this lens, especially in the second part of this two-part teardown. Don’t misread that to mean I’m saying ‘bad’ because I’m not. 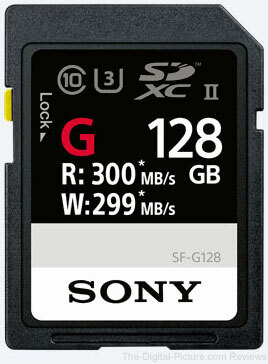 Sony is the one manufacturer these days that’s trying all kinds of new and different things. I love that. Sometimes new things are better, sometimes not. But it does make them different. See the Sony FE 70-200mm f/2.8 GM OSS Teardown (Part 1) on the LensRentals Blog. Update: Sony FE 70-200mm f/2.8 GM OSS Teardown (Part 2) was posted this morning. B&H carries the Sony FE 70-200mm f/2.8 GM OSS Lens. Just Posted: RigWheels RigMount X4 Magnetic Camera Platform Review. Several years ago, I [Sean] attached my DSLR to a single high-power suction cup mount and photographed myself driving my 2004 Ford Mustang GT. It was winter, and I neglected to take into consideration how the cold weather would affect the suction cup's holding strength. Once I parked the car to remove the mount, the suction cup fell over in my hand. It had apparently lost suction at the precise moment my car had stopped moving. I never attempted the single suction cup method of attching my DSLR to an automobile again. For years I have been searching for a better alternative for mounting a DSLR to a moving vehicle, and I the RigWheels RigMount X4 Magnetic Camera Platform is the best solution I've found. With four magents capable of holding 50 lbs (22.7 kg) apiece anchoring the RigMount X4 in place, my mind is at ease while creating images like the example shown above. B&H has the RigWheels RigMount X4 Magnetic Camera Platform in stock with free expedited shipping. The only true winter round – a classic Rally Sweden will be characterised by frozen roads lined with snow banks, low temperatures and the iconic Colin's Crest jump. Driven in ice cold Sweden and Norway, WRC's winter festival puts drivers, cars and the DJI crew to the ultimate winter test. Multicopter operations were conducted by professional pilots in coordination with manned aircraft pilots and authorities. Relevant permissions were obtained prior to filming, and filming was conducted in compliance with local regulations. Please always fly responsibly and follow the local regulations. 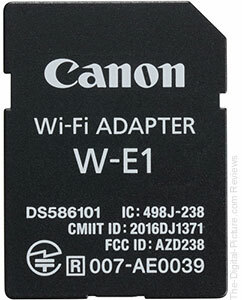 B&H has the Canon W-E1 Wi-Fi Adapter (review) in stock. Update: Congrats to site visitor Jacob for being the first to respond. The promo code has been forwarded. 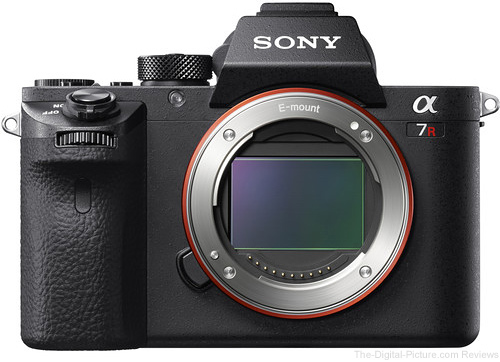 If you were interested in picking up a new Sony a7R II at a significant savings, don't fret! You can still send in an older lens to receive your own $480.00 coupon code from B&H. Combined with the still-live $300.00 instant savings, that gives you a combined savings of $780.00. We have one coupon code for $480 Off of a Sony a7R II to give away. This camera already has a $300.00 instant rebate available. Add $480 to that and the savings jumps up to a hefty $780.00! You must be ready to buy the Sony a7R II within 24 hours. You must use our B&H link to make the purchase. If you are ready to commit to the first two qualifications, all that is left is to be the first to request this code via email at Info@The-Digital-Picture.com. Sound simple? It is! We will provide the person who's email is received first the coupon code. We'll also update this post after the coupon code has been redeemed. Not first? Pull out a lens that you are not using (perhaps something very old?) and send it to B&H. Get the details here. February 21, 2017, Commack, NY - Tamron, a comprehensive manufacturer of optical equipment, has redesigned its corporate logo. The new logo will be progressively rolled out in the U.S. starting February 21, 2017. In September 2015, to coincide with the revamp of its SP series of interchangeable camera lenses that represent the ultimate pursuit of high performance, Tamron embarked on a renewal of its product branding for the domestic and global markets. As part of these activities, Tamron developed a new logotype that would embody the brand in its products, and has since introduced the logo in new models on a sequential basis. Now Tamron has made the decision to progressively roll out use of the logo as its new corporate logo. The existing logo has been in use for 39 years since its development in 1978. In the intervening years, Tamron has undergone significant expansion as an extremely unique company through its ability to engage in the integrated manufacture of lenses from development to production. During the same period, Tamron has extended the reach of its business activities in Japan and around the world. The new "TAMRON" logo was designed to present a global perspective while inheriting qualities of the original design. Tamron has developed a fully upper-case logotype and incorporated greater legibility compared with the previous logo, allowing the company name to be identified in a clearer and more understandable way. Moreover, the meticulously designed logo embodies Tamron's recognizable presence as simple and powerful, with renowned reliability and technical prowess. To coincide with changes to the corporate logo, the corporate website has been redesigned to provide customers with the information they need in a more accessible way. The website employs a layout that is easy to view whether from a PC, smartphone or tablet device. Looking ahead, Tamron looks forward to disseminating appropriate information to its customers and stakeholders through the new corporate website. February 21, 2017 – Sigma Corporation today announced its brand new Global Vision Art and Contemporary lenses to be introduced at the 2017 CP+ Camera + Photo Imaging Show in Tokyo, Japan. 14mm F1.8 DG HSM Art - World’s first F1.8, ultra-wide, full-frame prime lens designed for high resolution cameras; ideal for shooting architecture, astrophotography, documentary and landscapes. 135mm F1.8 DG HSM Art – Formidable telephoto prime with high-speed aperture; ideal for shooting weddings, concerts, events and studio/location portraiture. 24-70mm F2.8 DG HSM OS Art – Fast, constant-aperture zoom workhorse upgraded to the exacting standards of the high performance Sigma Art series. 100-400mm F5-6.3 DG HSM OS Contemporary - Highly versatile, lightweight and compact super zoom touting strong IQ and image stabilization. Debuting the world’s first 1.8 wide-angle lens, the 14mm F1.8 Art incorporates the same groundbreaking aspherical element as Sigma’s critically acclaimed 12-24mm F4 Art. 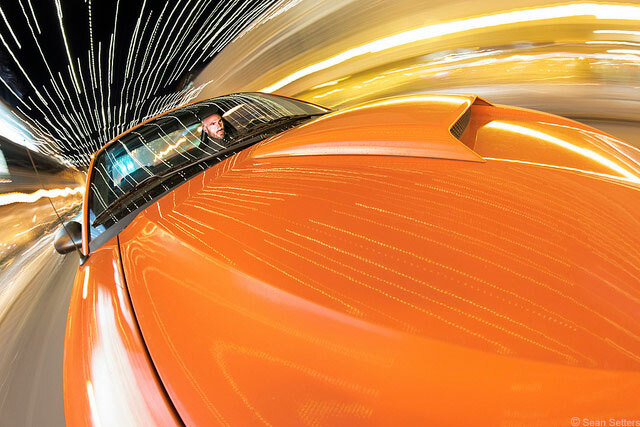 Boasting outstanding image quality from center to edge, the 14mm F1.8 Art features the largest glass mold (80mm) in the industry, offering photographers an ultra-wide prime with virtually no distortion, flare or ghosting. Three lens elements are made with FLD (“F” Low Dispersion) glass, which is equivalent to calcium fluorite in performance, and four SLD (Special Low Dispersion) glass elements, which reduce chromatic aberration. In addition to the great IQ from edge to edge, the new 14mm F1.8 offers a superfast and efficient AF system. With a minimum focus distance of 10.6 inches at 14mm, photographers can compose incredible close-up shots with expansive backgrounds. The all new Sigma 14mm F1.8 DG HSM Art lens supports Canon, Nikon and Sigma mounts and works with Sigma’s MC-11 Sony E-mount converter. The Nikon mounts feature the brand new electromagnetic diaphragm. Pricing and availability for the Sigma 14mm F1.8 Art lens will be announced later. Boasting outstanding sharpness and great IQ from edge to edge, the 135mm F1.8 Art lens enters the market as Sigma’s new premiere mid-range telephoto prime lens. Ideal for events such as concerts, indoor sports, conferences and press events, the 1.8 F-stop delivers greater “shallow depth of field” and isolation of subjects. The outstanding compression effect makes it equally as powerful for up-close and full-length portraits. Its new large hyper sonic motor (HSM) provides ample torque to the focus group for optimal speed while the acceleration sensor detects the position of the lens for compensation focus groups for factors including gravity, producing faster and more responsive AF. Equipped with a focus limiter, the 135mm F1.8 Art can be easily optimized for a variety of distances and situations. The all-new Sigma 135mm F1.8 DG HSM Art lens supports Canon, Nikon and Sigma mounts and works with Sigma’s MC-11 Sony E-mount converter. The Nikon mounts feature the brand new electromagnetic diaphragm. Pricing and availability for the Sigma 135mm F1.8 Art lens will be announced later. Featuring a brand new OS and highly efficient and fast AF system, the revamped 24-70mm F2.8 Art embodies all the technical qualities and finesse that define the high-performance Sigma Global Vision Art series. Covering a wide range of shooting scenarios, the 24-70mm workhorse DNA includes three SLD (Special Low Dispersion) glass elements and four aspherical elements to reduce chromatic aberration. The 24-70mm F2.8 Art aspherical elements use Sigma’s groundbreaking thicker center glass design and highly precise polishing process, delivering stunning images and bokeh effects. The lens’ purpose-built structure boasts a new metal barrel for optimal durability with TSC composite internal moving components designed to resist thermal contraction and expansion. The newly revamped Sigma 24-70mm F2.8 DG HSM OS Art lens supports Canon, Nikon and Sigma mounts and works with Sigma’s MC-11 Sony E-mount converter. The Nikon mounts feature the brand new electromagnetic diaphragm. 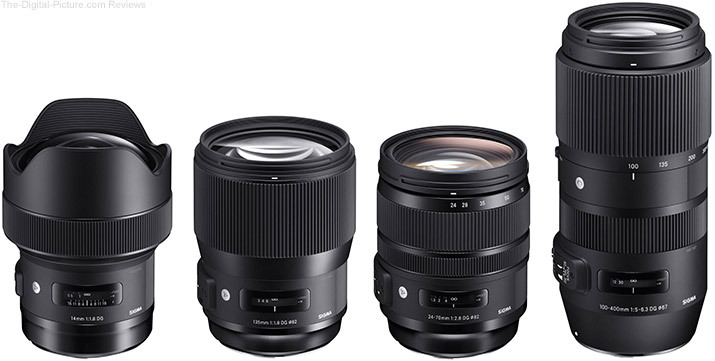 Pricing and availability for the Sigma 24-70mm F2.8 Art lens will be announced later. The all-new Sigma 100-400mm F5-6.3 DG HSM OS Contemporary lens supports Canon, Nikon and Sigma mounts and works with Sigma’s MC-11 Sony E-mount converter. The Nikon mounts feature the brand new electromagnetic diaphragm. Pricing and availability for the Sigma 100-400mm F5-6.3 Contemporary lens will be announced later. Meet French aerial-wedding photographer Helene Havard, who works in Tahiti, French Polynesia. When Helene first arrived on the island, she quickly discovered a thriving yet highly competitive photography industry. In order to distinguish herself and her work to get noticed, she started to shoot from above. Watch how Helene reimagines the art of wedding photography with her own inimitable signature style. Which Soon-To-Be-Announced Sigma Lens Are You Most Excited to See? So which of the lens(es) are you most excited to see hit the market and why? Let us know in the comments. Permalink: Which Soon-To-Be-Announced Sigma Lens Are You Most Excited to See?